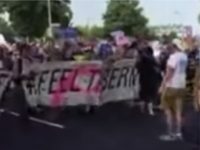 Actress Rosario Dawson addressed delegates and supporters of Vermont Sen. Bernie Sanders’s presidential campaign at a rally at the Democratic National Convention in Philadelphia on Monday, where she warned that if Republican Donald Trump defeats Hillary Clinton in November, it won’t be because of Sanders’s steadfast supporters. 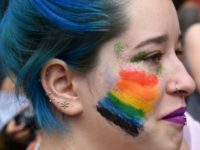 A new federal ad campaign urges transgendered and gay Americans to stop smoking, warning that their lifestyle choices are no reason to choose to smoke cigarettes. 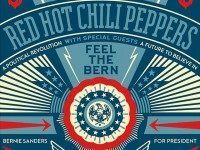 Veteran rockers the Red Hot Chili Peppers are scheduled to headline a benefit concert for Democratic presidential candidate Sen. Bernie Sanders (I-VT) on Feb. 5 in Los Angeles. 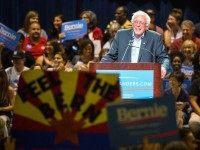 “Black Twitter” took 2016 Democratic presidential candidate Bernie Sanders to task this weekend after he chose to ignore chants from “Black Lives Matter” protesters at the Netroots Nation left-wing bloggers’ conference in Phoenix.